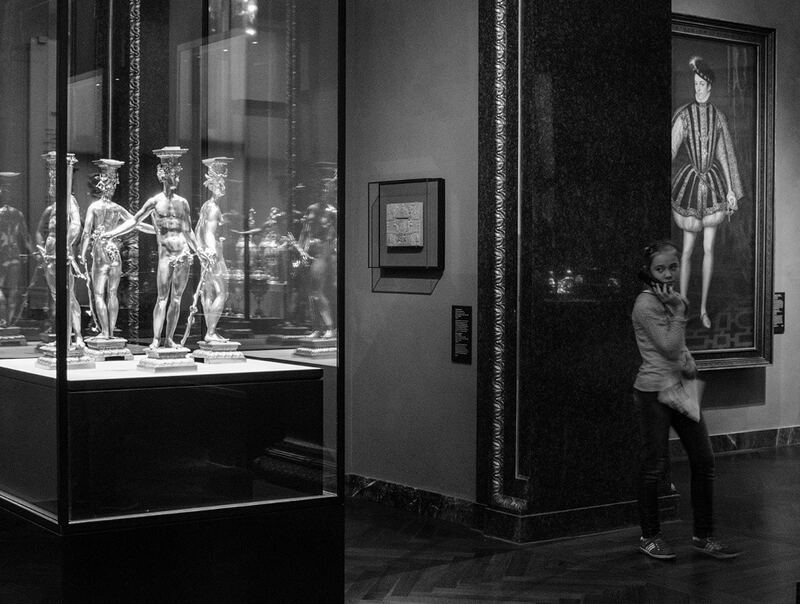 I had made arrangements to photograph the Habsburg Royal Collection exhibition at the Kunsthistorisches Museum in Vienna. So I arrived at the staff entrance at the appointed time. After being checked in by security, Nina, the PR liaison ushered me into a maze of busy back corridors and stairways. We paused at a set of enormous double doors. 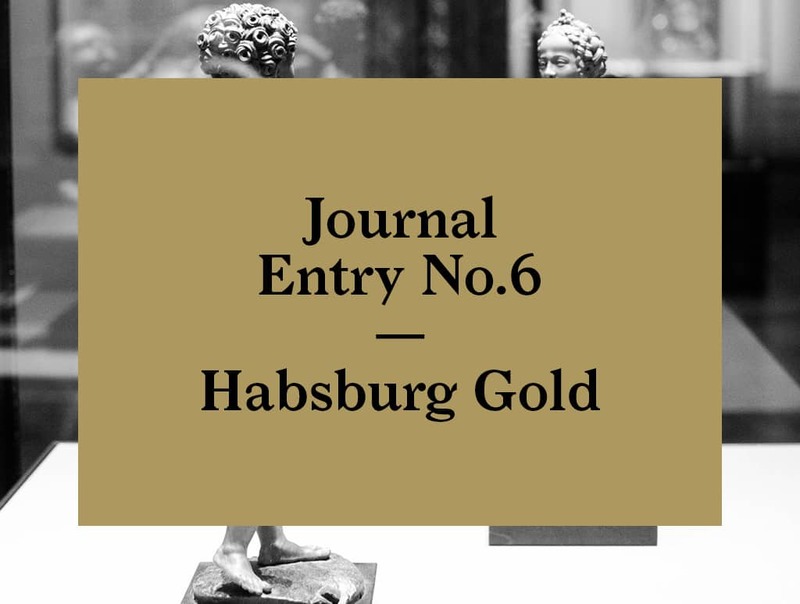 Nina pushed the doors open and we found ourselves at the center of the Rudolfsaal (Rudolf’s room), a room packed with gold and bejeweled decorative and scientific objects. I was overwhelmed at the spectacular sight. Emperor Rudolf the second (1552-1612) was a keen devotee of science. Over his lifetime, he amassed a diverse collection of objects, employing the best craftsmen and foremost thinkers of his time. Stellar scientists and artists like the astronomers Johannes Kepler and Tycho Brahe to name a few. 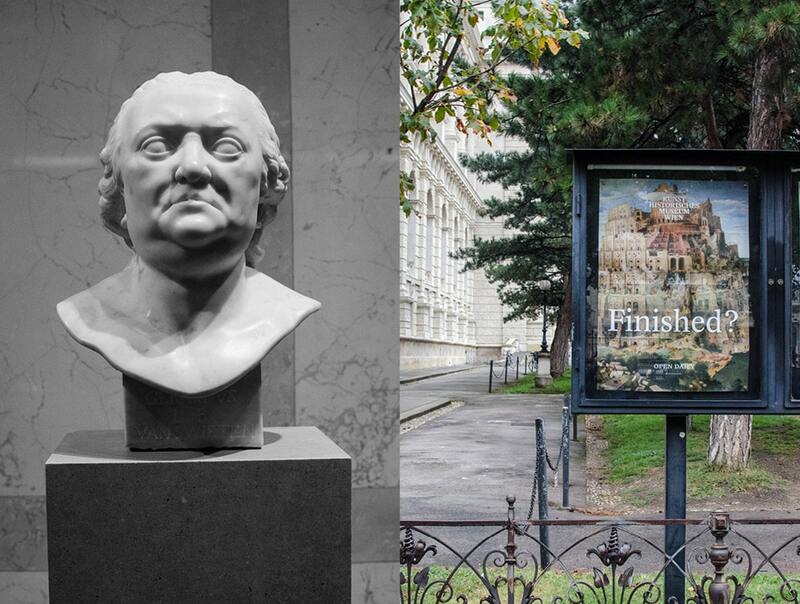 In his palace in Prague, he repurposed and adapted eight rooms just to house his paintings, library and “Kunstkammer”. 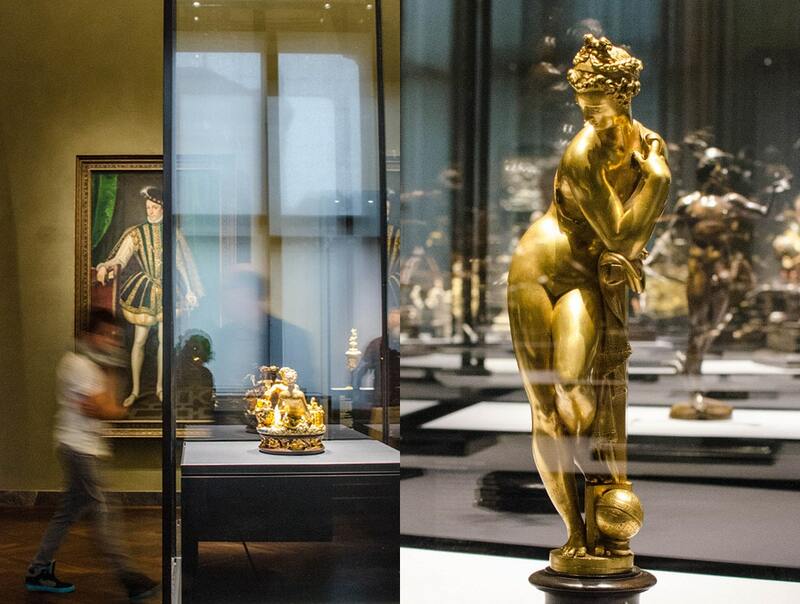 Kunstkammer is a word that refers to a “cabinet of curiosities” or “cabinet of wonders”. It’s an encyclopedic personal collection showcasing things like sculptures, tapestries, elaborate table decor, paintings. Other peculiar objects were acquired just to entertain and impress guests and wealthy patrons. Kunstkammers were particularly popular with the European gentry from the Middle Ages all the way through the 19th century. 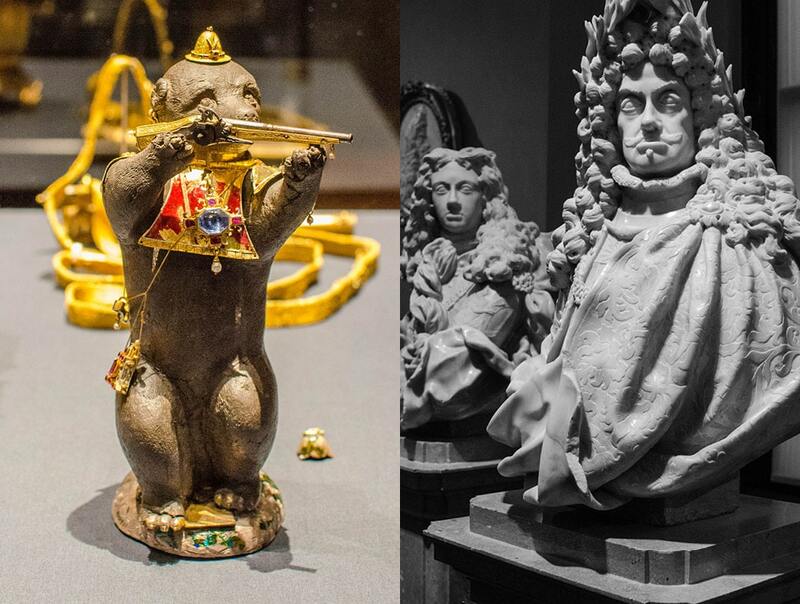 The Kunstkammer in Vienna’s Kunsthistorisches Museum displays the collection of the rulers of the house of Habsburg. So since the Habsburgs were at the top of the heap for Royals in Europe, you know these cabinets are going to be extraordinary. 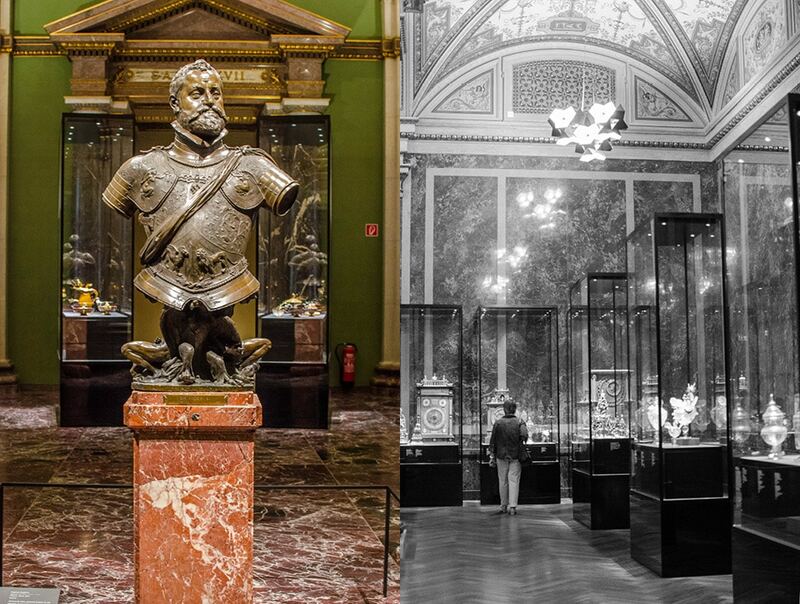 Emperor Franz Joseph the first, instated the Vienna Kunstkammer in 1891. 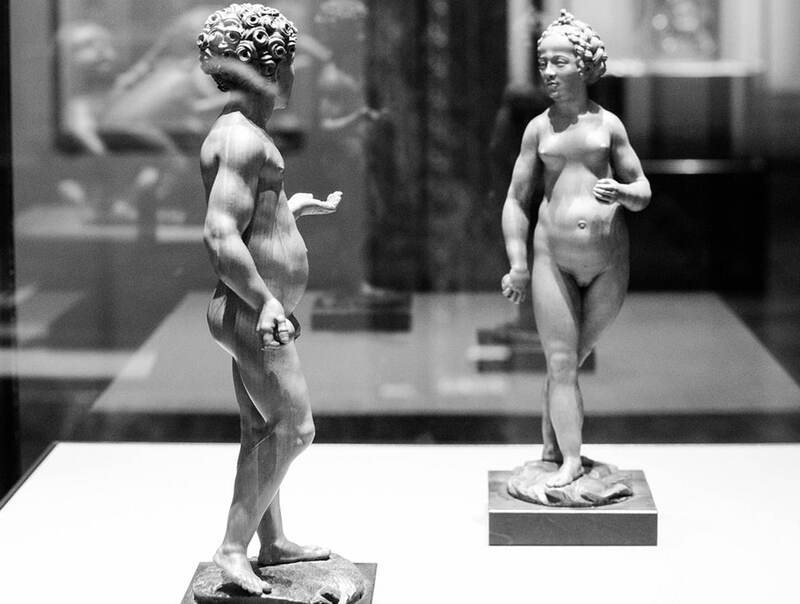 The collection then stayed relatively undisturbed until the Kunsthistorisches Museum was closed in 2003 to undergo major structural refurbishments, opening again in March of 2013. We had entered in the middle of the exhibit, so I made my way back to the beginning to experience the full exhibit as intended. 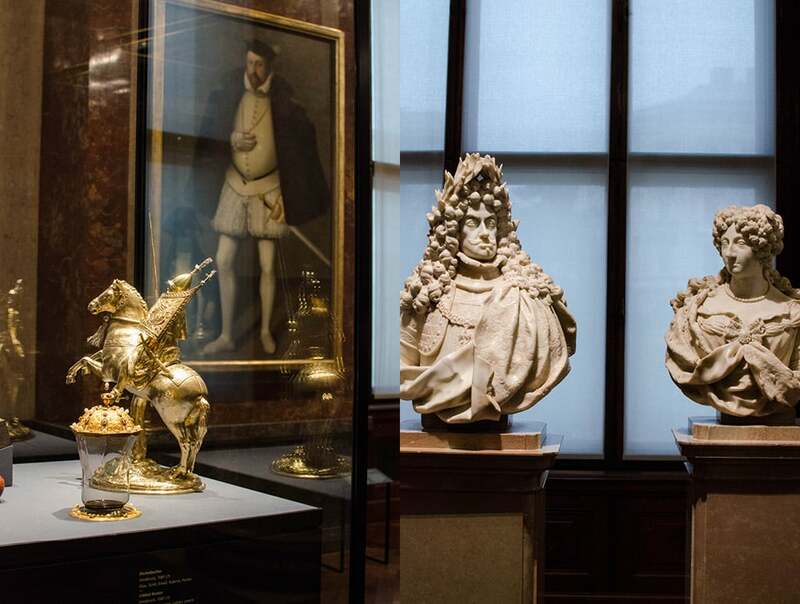 Starting at the Middle Ages, artifacts are organized by chronology and benefactor, ending in the late Baroque and Neoclassical periods with a room full of wonderful marble busts. The richness and diversity of the collection is breathtaking. 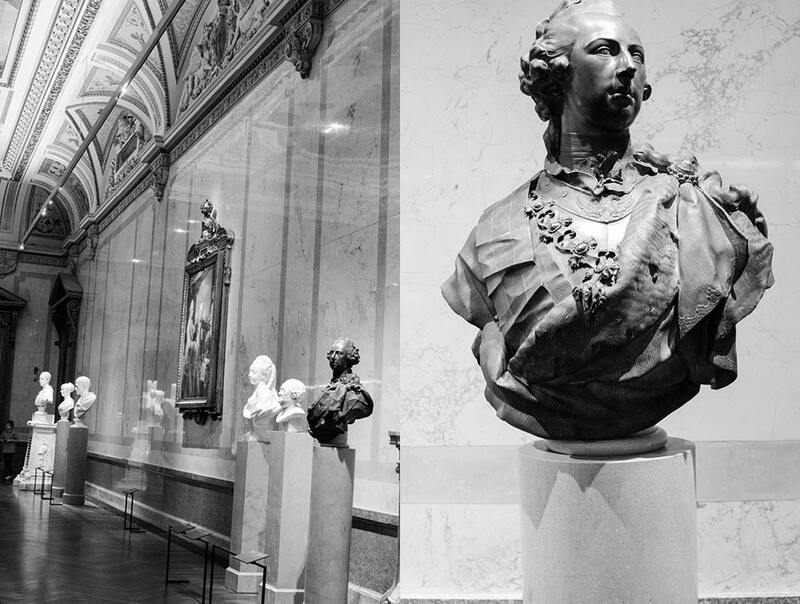 In contrast to our present-day culture in which the ostentatious display of wealth is frowned upon, during the time of the Habsburg rule, such impressive displays were a common form of propaganda – a way to convey one’s status, intellect, and cultural sophistication. Objects were collected of the most exotic and uncommon materials. At the time, they were uncommon because they were not accessible to the average person. And today they are just as rare because much of what is on display is (sadly) either extinct or endangered. In the Rudolfsaal (Emperor Rudolf room) are displayed some of my favorite objects in the collection, the automated and scientific machines. They are amazing to behold, even when they sit idle. Considering their age it is hard to imagine they would still work but they do, in fact, operate perfectly. Around the perimeter of the room tablet computers have been built into benches, conveniently displaying videos of the “Automaten” in operation. 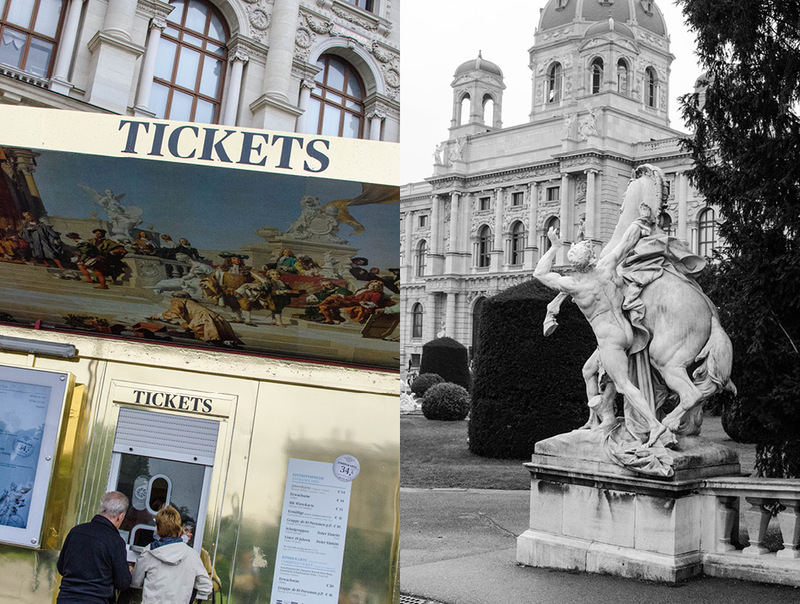 It was a rainy Viennese day so the museum was packed with visitors. I was surprised by how many children and young adults had come for a visit with their parents and grandparents. It was lovely to see people’s awe-filled responses, especially the younger attendees. People whispered so as to not disturb the quiet atmosphere. 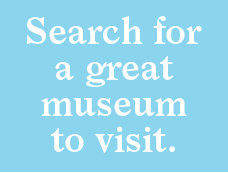 It’s a perfect excursion for a multigenerational group with varied interests. For me, the most haunting object was the Allegory of Transience, the so-called Vanitas Group, by Michel Erhart. Produced around AD 1470-1480, it shows three female figures, or the same figure at three different stages: youth, beauty and old age. It brings to mind one’s own mortality. 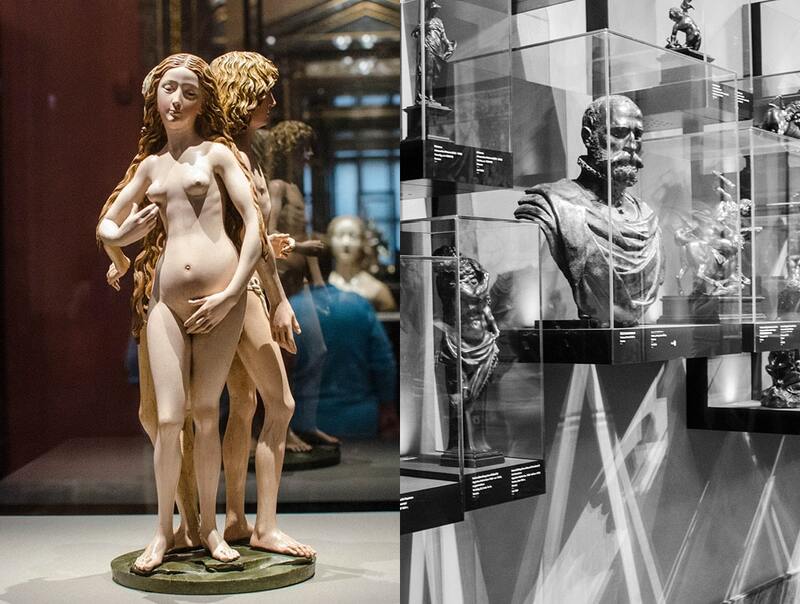 Not widely known, the Kunsthistorisches Museum and its Kunstkammer are truly an exhibit for the 21st century. 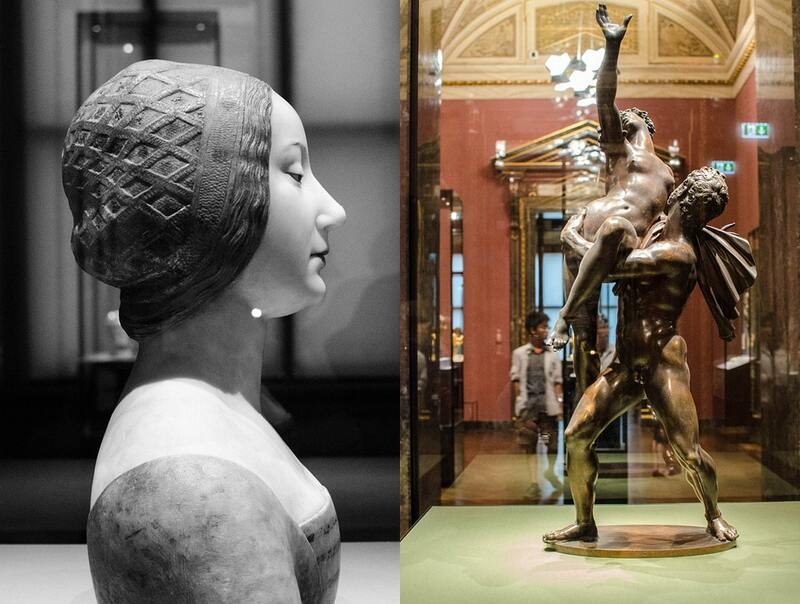 The collection is curated in a wonderfully diverse and educational manner. Old technology is on display but it is perfectly supported with the best modern technology to facilitate the experience for visitors. It’s a wonderful place to see the long lost past brought into the present. 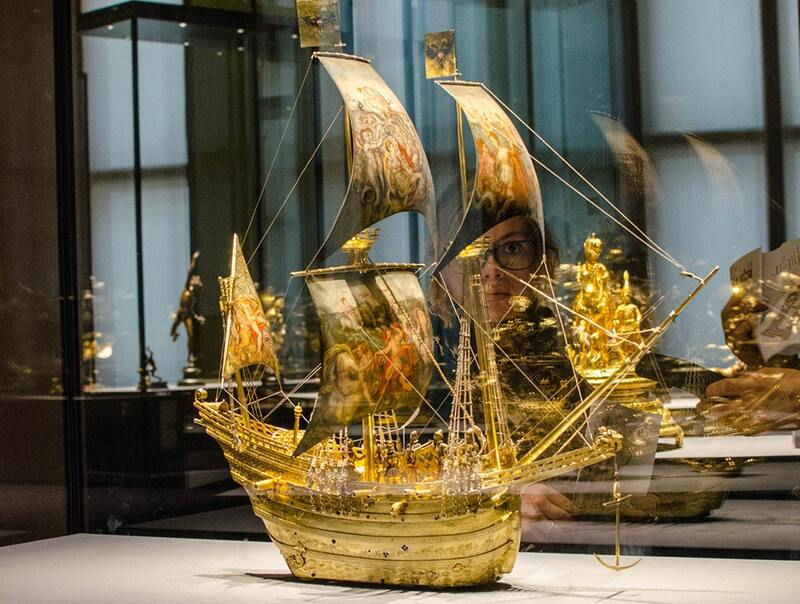 Planning a visit to the Kunsthistorische Museum? Here is the current weather and what to expect for the next few days.